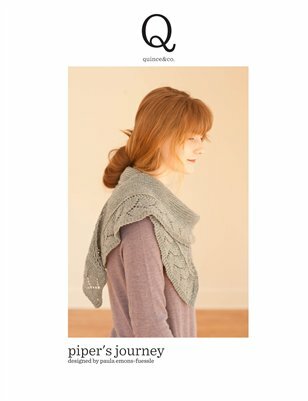 Knitting Pipeline: Episode 96 Happy Two Year Podiversary! Episode 96 Happy Two Year Podiversary! The folks at Quince & Co confess to a strong bias toward natural fibers, be they soft and sensuous or rustic and sturdy. They also think businesses can be good citizens—should be good citizens—without making too much a fuss about it. The wool at Quince & Co is sourced from American sheep and other fibers come from earth friendly suppliers. If you have not yet signed up for the Quince & Co newsletter be sure to hike on over to www.quinceandco.com to get your name on the list. Thank you to Bronwyn who started the thread in our group about the 2 year anniversary of the podcast. Thank you for your kind comments on this thread. Without listeners there would be no show, certainly not for two years. Pipeliners rock! Megan of Stockinette Zombies wearing her Piper's Journey. We are in the "Hogwarts" dining hall. Here's Megan with her eyes open. See what I mean about fuzzy photos? Yarn Sniper strikes with her Sock Blankie! Stephen wearing Piper's Journey like a kilt. 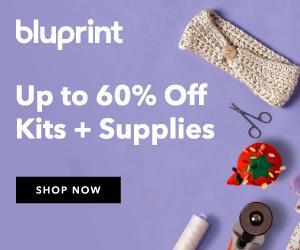 Socks for Plane Knitting and Plain Knitting with Camp KIP Yarn. Nupps. JPeled. My You Tube video on making nupps. Same idea except instead of purling on the wrong side you knit into the back on the right side. It is key to note what is next to the nupp so you don’t accidentally knit a YO into the nupp that is not supposed to be there. Stormy weather in Chicago on my way home from SSK resulted in a sort of carnival ride on the runway while the small plane waited out the storm. Peter update: July 10 email from Salida CO trip has been fantastic. He’s hiked 250 miles in 14 days. We have lots of new tunes to learn for an upcoming event. Played a funeral on Saturday in 100 degree temperatures. My pipes were HOT! People got out of the tent and cemetery FAST. A Mug of The Perfect Iced Coffee with my Sideways Shawl and SSK Yarn from Gale's Art. Me with roommate Linda. She is wearing Piper's Journey and I'm wearing Hyla Brook. Hey, it was only 106 degrees F outside! Happy Anniversary! I can hardly believe it has been two years. Thank you for being an inspiration to me, then and now. PS: Am loving hearing all about Pete's adventure on the Colorado Trail. This has been quite an eye-opening experience for me, as I know nothing about hiking (my idea of camping out is a room at the Hilton). It is incredibly interesting to hear about the preparation, etc. I have quite an admiration of Pete for doing this . . . and an equal admiration for his parents considering that, when you have a son hiking the Colorado Trail, it puts you on a trail (or should I say trial?) all your own--one that only a parent could understand. You're such a good mom! Hello! I often listen on my morning run and so you joined me for part of 8+ mile journey. I couldn't wait to get home and look up the coffee recipe and see the photos. I truly enjoy your podcast, Paula!